Classic Video Game Characters Unite in Upcoming Film "Pixels"
CULVER CITY, Calif., July 21, 2014 – Sony Pictures Entertainment announced today that the studio has brought together an extraordinary number of iconic video game companies, whose classic characters – including PAC-MAN, Donkey Kong, Centipede®, Galaga, Frogger, Q*bert, and Space Invaders – will be featured in the highly-anticipated action comedy “Pixels,” starring Adam Sandler, Kevin James, Michelle Monaghan, Peter Dinklage, Josh Gad, and Brian Cox, and directed by Chris Columbus. The film will be released on May 15, 2015. In “Pixels,” when intergalactic aliens misinterpret video-feeds of classic arcade games as a declaration of war against them, they attack the Earth, using the games as models for their various assaults. 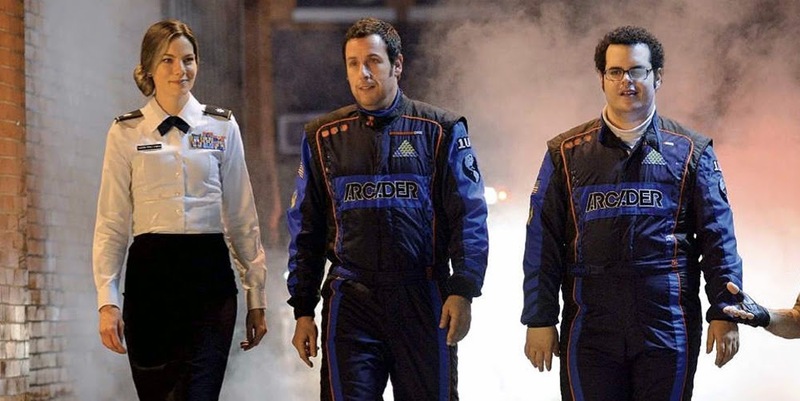 President Will Cooper (James) has to call on his childhood best friend, ’80s video game champion Sam Brenner (Sandler), now a home theater installer, to lead a team of old-school arcaders (Dinklage and Gad) to defeat the aliens and save the planet. Monaghan plays the team's unique weapons specialist. The action-comedy is directed by Chris Columbus from a story by Tim Herlihy and a screenplay by Tim Herlihy and Timothy Dowling, based on the original short film of the same name by Patrick Jean. The film is produced by Adam Sandler, Chris Columbus, Mark Radcliffe, and Allen Covert. Executive Producers are Barry Bernardi, Michael Barnathan, Jack Giarraputo, Heather Parry, Tim Herlihy, Steve Koren, Patrick Jean, Benjamin Darras, Johnny Alves, Matias Boucard, Seth Gordon, and Ben Waisbren. The film, a Columbia Pictures presentation in association with LStar Capital, is a Happy Madison / 1492 Films production in association with One More Production.